The Chinese have been using ginseng for almost 5000 years and even today it is still hailed as a preventative cure all. 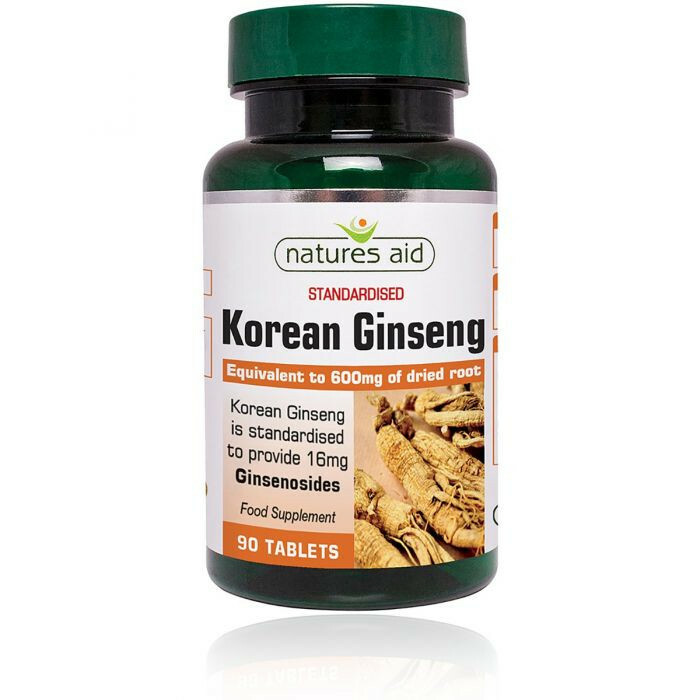 Ginseng contains a mixture of several sponin glycosides which are called ginsenosides as well as the sugars glucose, rhamnose, arabinose and xylose. recuperative power of the body. Blood Pressure - it is useful for regulating blood pressure. Libido - ginseng improves libido and sexual vigour and may prevent impotence. Stamina - improves stamina and may alleviate symptoms of tiredness and exhaustion. 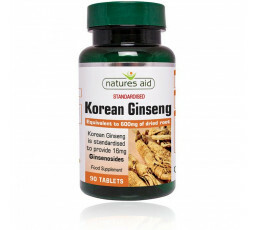 Each Natures Aid Korean Ginseng tablet provides 600mg of Panax ginseng root. Panax is derived from the Greek word Panacea meaning all healing.